Chinatown is filled with various vegetable and fruit stores, where one can find the most common and unusual produce available. Special 'lucky' foods mostly round and "golden" in color, are eaten during Chinese New Year, symbolizing fullness and wealth. 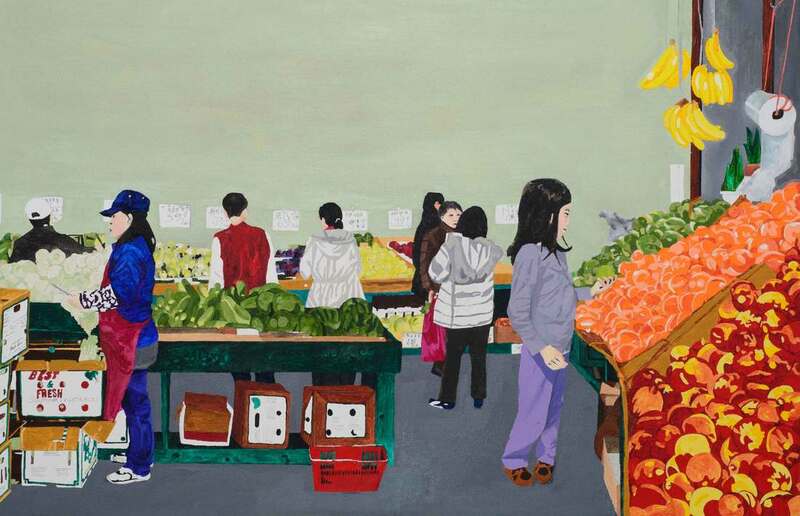 Thank you for your interest in buying the painting "Auntie Wo's Produce." As soon as I receive this request, I will contact you to confirm order details and total amount of purchase.